On Friday, August 3rd, 2018, Senior Justice Law Firm filed a lawsuit against Boca Raton Rehabilitation Center alleging nursing home neglect. The lawsuit against Boca Raton Rehabilitation Center alleges that the facility failed to adequately care for the deceased, Michael DiStefano. James DiStefano, the son of the deceased, filed the lawsuit against Boca Raton Rehabilitation Center seeking compensation for medical bills and expenses, funeral expenses, loss of net accumulations and pain and suffering. 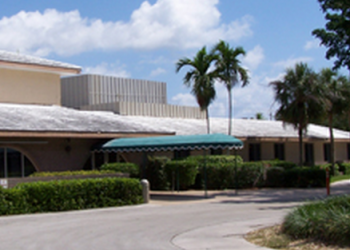 Boca Raton Rehabilitation Center is nursing home located at 755 Meadows Road, Boca Raton, FL 33486. The owner/licensee of the facility is FI – Boca Raton, LLC., and has been since 2003 Upon information and belief, the licensee is owned by a Delaware Corp, which is a shell company that owns a significant number of South Florida nursing homes, named Sun Coast Nursing Centers, Inc. The following allegations are included in the lawsuit against Boca Raton Rehabilitation Center. “MICHAEL DISTEFANO was admitted to the subject nursing home from Delray Medical Center on or around September 14, 2017. Upon admission to the subject nursing home, MICHAEL DISTEFANO was free of bedsores and had intact skin on his backside and lower extremities and was free from infections. MICHAEL DISTEFANO suffered from immobility due to his ongoing health conditions. As a result, MICHAEL DISTEFANO required extensive assistance from the nursing home staff to turn and reposition, as well as keep him clean in bed. Despite this pressure ulcer risk classification, proper preventative measures were not put in place and MICHAEL DISTEFANO developed multiple areas of skin breakdown and bedsores while a resident at the subject nursing home. MICHAEL DISTEFANO suffered severe bedsores, injuries, and infections as a result of the neglect she sustained at the Defendant’s nursing home. What if I Know a Loved One Who Suffered from Bedsores as a Facility? Sadly, the bedsores that Michael DiStefano suffered are not uncommon. Bedsores are a “never event” and are preventable with appropriate care. If a loved one suffered abuse or neglect at a nursing home or assisted living facility, it is important to choose a law firm that focuses on elder litigation. At Senior Justice Law Firm, we have vast experience dealing with bedsores, falls, wrongful death, and all other forms of elder abuse and neglect. We know that no compensation will ever replace the loss of a loved one, but it is important to seek justice from negligent facilities to ensure that they do not make the same mistakes again and again. If you believe you might have a case, please contact our dedicated team for a no-cost, hassle free intake at 561-717-0817.